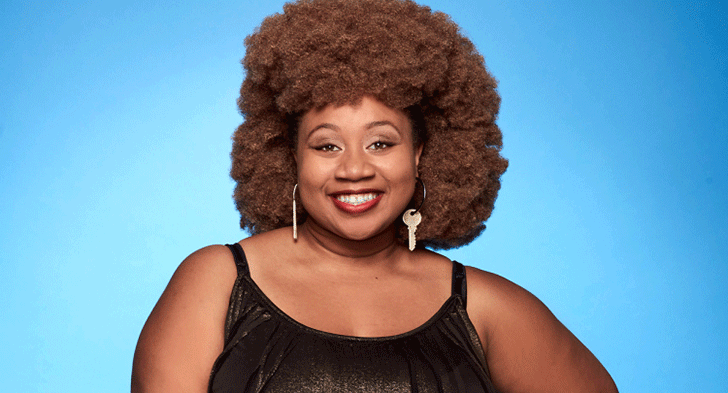 La’Porsha Renae is a strong contestant of American Idol Season 15. With her melodious voice, she has impressed judges and audience, and she is on her way to grab the title. She introduces herself as a call representative from McComb. Before participating in the competition, she never thought that she would be able to get such huge fans and media attentions. Mother of one old month daughter, she has been struggling hard to achieve the position she currently holds. Talking about her early life she was born and raised in McComb, Mississippi. La’Porsha Renae is not bound to single thing; she is just playing numerous roles. She is known as a singer, a survivor, an entertainer and a very loving and caring mother to a baby. Every week, La’Porsha wows a bunch of people by picking up any song and giving her everything to justify the song’s emotions. Her singing left the whole bunch speechless. She justifies every song she tries to sing whether it’s a rolling song, classic song, A Beatles song or any other form of songs. She obviously has a significant number of fans, but who stand-out amongst the greatest will be her little girl. The little girl of her is the great support for her every performance. Renae once tried out for American Idol Season 8 when she was 16, but she could not make it through. After her unsuccessful first attempt, she gave more time to music and focused more on her notes and came up as a flourished singer in season 15 of American Idol. Renae started her journey in Season 15 from Little Rock, Arkansas audition, where she sang “Creep” by Radiohead, which led her to Hollywood. She performed ‘’Roar” originally by Katy Pery in Hollywood Solo round which advanced her to showcase week. In showcase week, she sang “The House of Rising Sun” by the Animals and reached to the next round i.e. Top 24. In Top 24 series she gave two performances, one she sang Creedence Clearwater Revival’s “Proud Mary” and another performance was a duet with Fantasia Barron, they performed “Summertime” by Janis Joplin. Similarly, she advanced to Top 14 and Top 10. In Top 10, she came on the stage with “Diamonds” by Rihanna, which led her to the Top 8. During Top 8 she performed Beyonce’s “Halo” and she made it through Top 6. In Top 6, she gave her performance under the theme Duet And Old Song where she picked the songs “Come Over" and "See You again” by The Beatles And Wiz Khalifa Feat Charlie Puth. While coming to personal life, she is a married woman but does not seem to have happy married life. She divorced her husband after she suffered from domestic abuse. She has one daughter named Natalee Keya from her ex-husband. She appeared on the audition with her baby girl, and her daughter has always been her source of inspiration. She can be found on all social networking sites.